The Swisher 11.5 HP 24 in. Walk Behind Rough Cut Trailcutter with Casters is perfect for cutting trails through the woods and clearing fields and ditches year-round. It will clear the densest undergrowth and saplings up to 1-1/2 i.. The Swisher 11.5 HP 24 in. Walk Behind Rough Cut Trailcutter with Casters is perfect for cutting trails through the woods and clearing fields and ditches year-round. It will clear the densest undergrowth and saplings up to 1-1/2 in. in diameter. 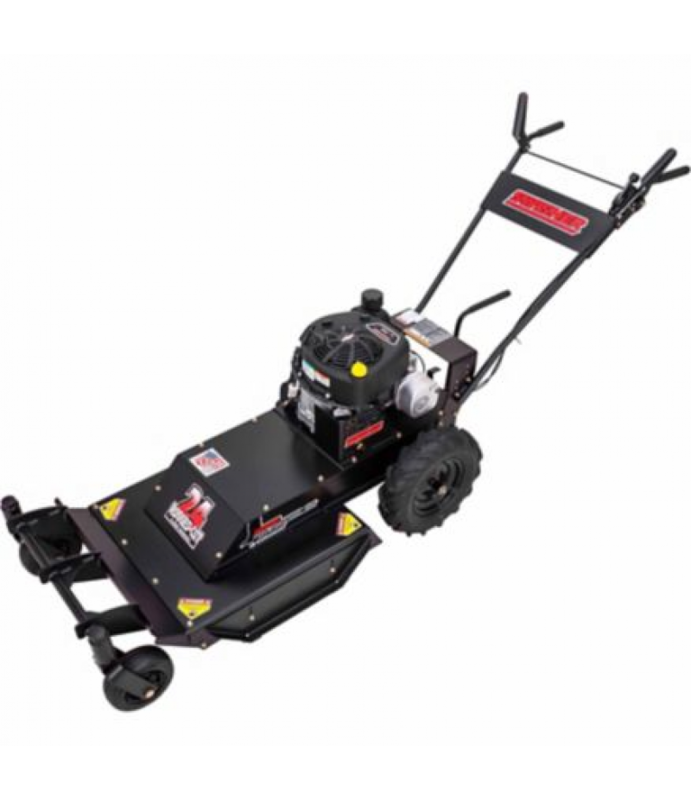 This self-propelled walk-behind features an 11.5 HP Briggs & Stratton engine and a heavy-duty fabricated cutting deck with a 4 in. fixed cutting height. The single, fixed hardened-steel blade zips through brush and saplings with ease, and the blade is enclosed for maximum safety. The adjustable-height handlebar eases operator control. Two heavy-duty front casters remove the unit weight off the operator and improve stability and ease of use. Large pneumatic chevron tires roll easily over the roughest terrain for excellent traction in all conditions. The four-speed transmission is great for setting a comfortable pace, and a reverse mode is handy for backing out of rough spots. Front and side safety deflectors protect against flying debris while the wire shield protects electrical components.